Have you dreamed of a destination wedding in the Caribbean? Look no more. 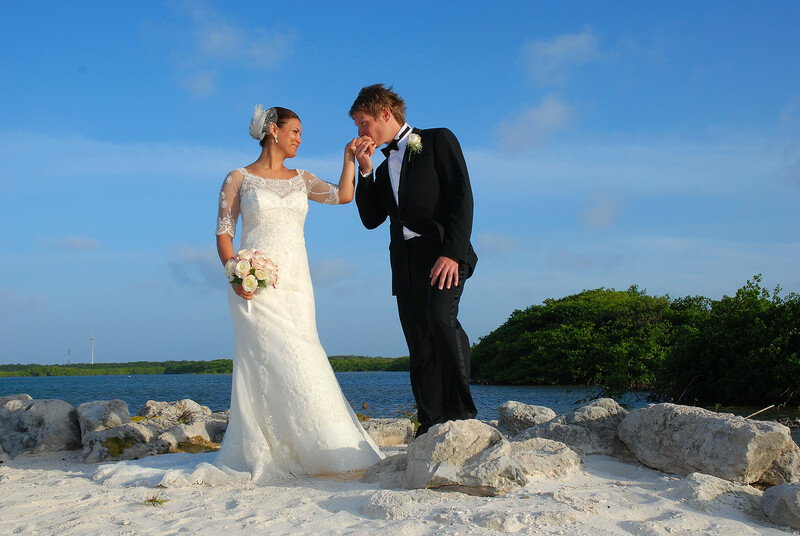 Bonaire is the ultimate destination for romance with picturesque vistas, amazing wedding venues and solitude and privacy. Over the past 26 years I have planned many destination weddings and hundreds of honeymoons. It is always a labour of love planning a wedding or honeymoon in the Caribbean. Are you a diver? Imagine a wedding on the beach and then diving in the deep blue immediately after the ceremony. Later return for a BBQ reception. Windsurfers can celebrate their nuptials on the beach and then take off on their boards into the wind. 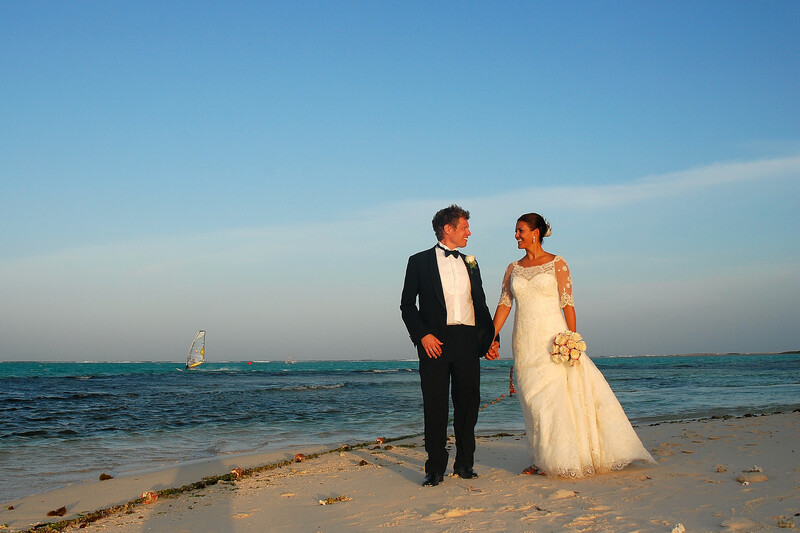 Some romantic brides and grooms may prefer a traditional wedding on the sand in a tux and white dress. There are no limits to the possibilities. Your dreams can become a reality in Bonaire. 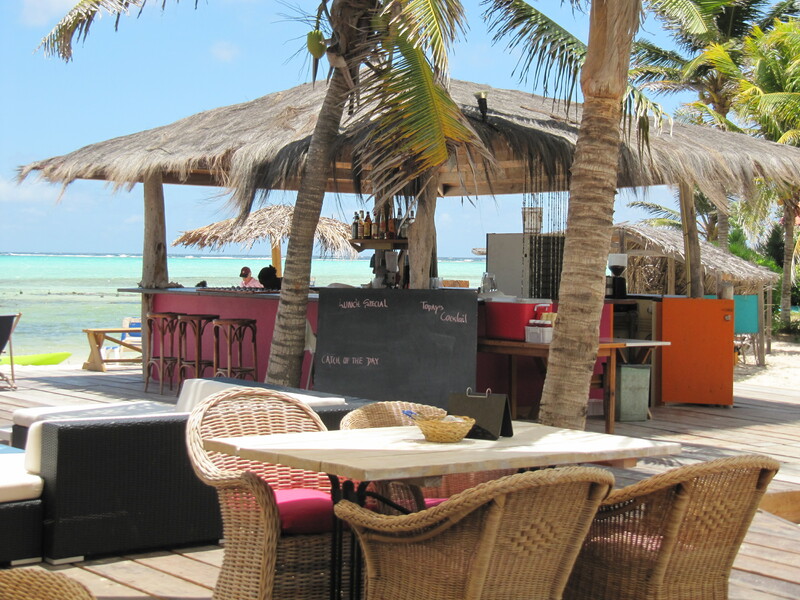 Caribbean Wind & Sun Vacations can plan your wedding, renewal of vows and honeymoon from soup to nuts. Email ann@bonairecaribbean.com. They work with several island photographers, caterers and properties to plan the perfect event. My colleague and I had a delightful luncheon at Sorobon yesterday. The views are stellar, the breezes cooling and F&B Manager, John Ceballos insures everything flows perfectly. I loved my seared tuna salad and my friend loved her grilled salmon. I typically take food photos but yesterday, focused on the sea. After, I went for a swim and read a few chapters. My Bonaire Bliss. To book your stay at Sorobon or simply a delightful lunch contact the Bonaire specialist, Ann Phelan at ann@bonairecaribbean.com today. Ann recently inspected and stayed at Sorobon so will hand pick your bungalow. Ann is also booking weddings at Sorobon. 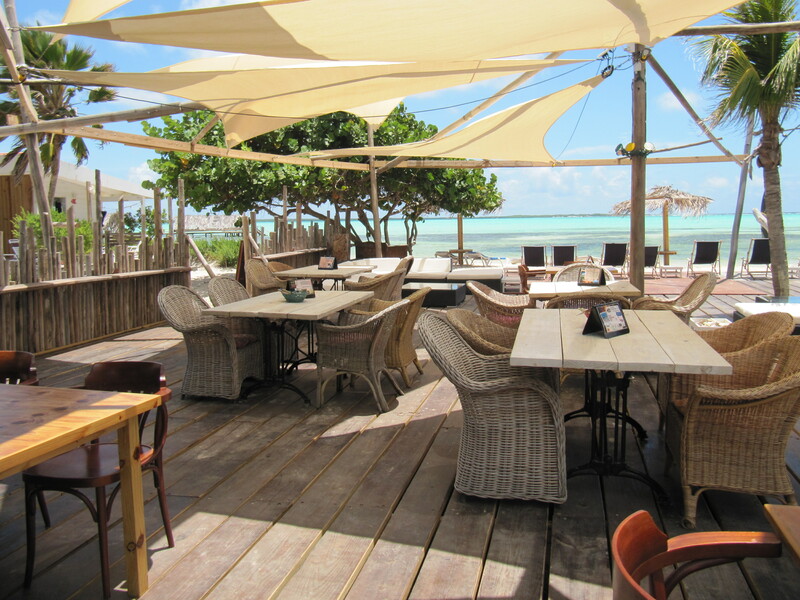 The beach deck is the perfect setting for your post wedding lunch or brunch or dinner. Sorobon really is pure romance.